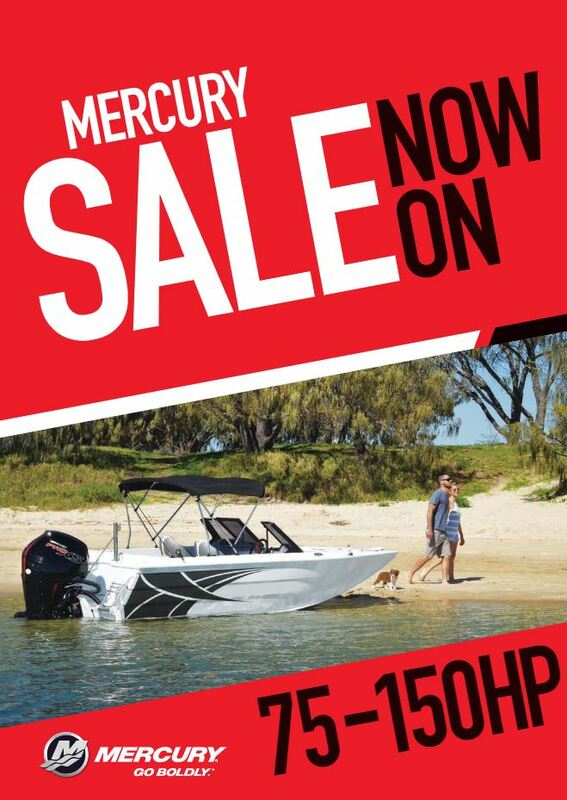 Mercury Sale – Now on! 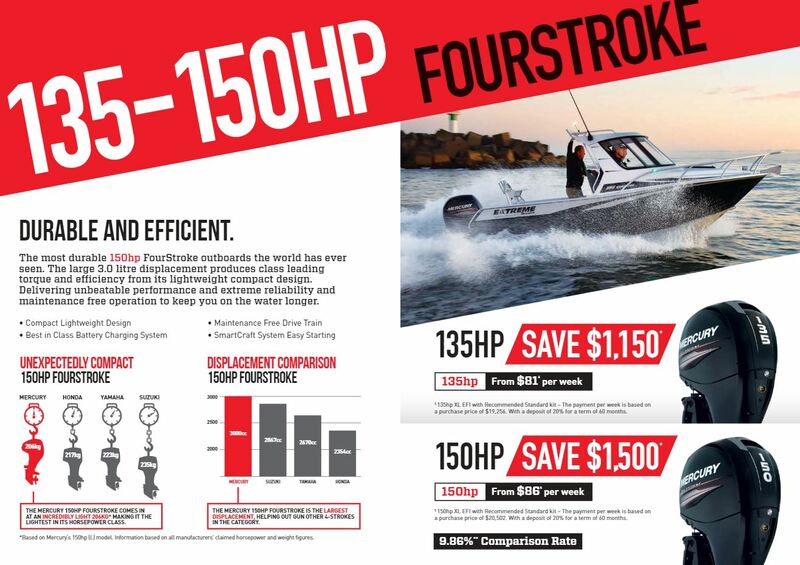 Mercury 75 – 150hp FourStrokes are some of the most popular outboards on the water. 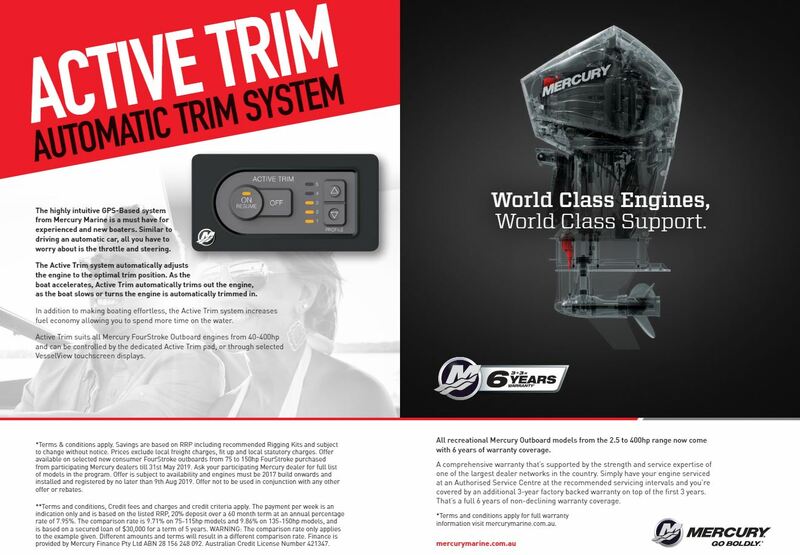 They deliver what every boater wants – no-worry reliability, outstanding performance and unmatched fuel economy. 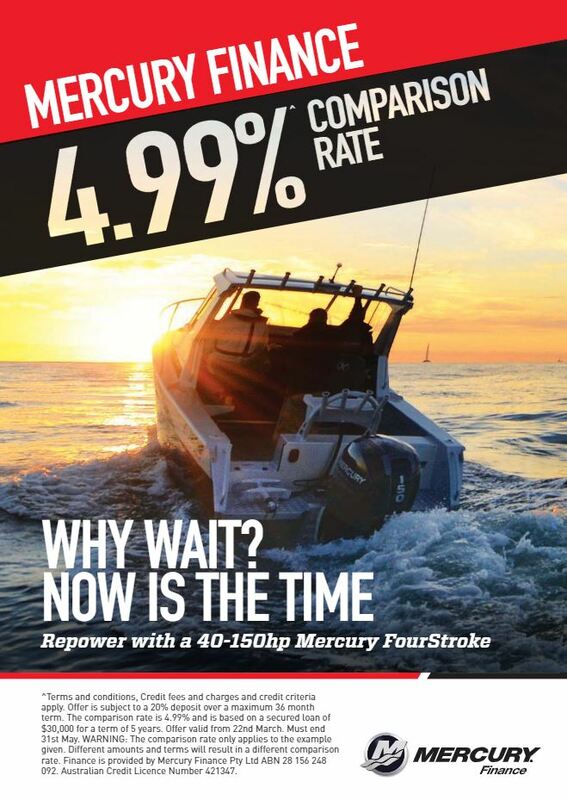 Now is the time to save up to $1,500 on the Mercury 75-150hp FourStroke range. Terms & conditions apply. Savings are based on RRP including recommended Rigging Kits and subject to change without notice. Prices exclude local freight charges, fit up and local statutory charges. 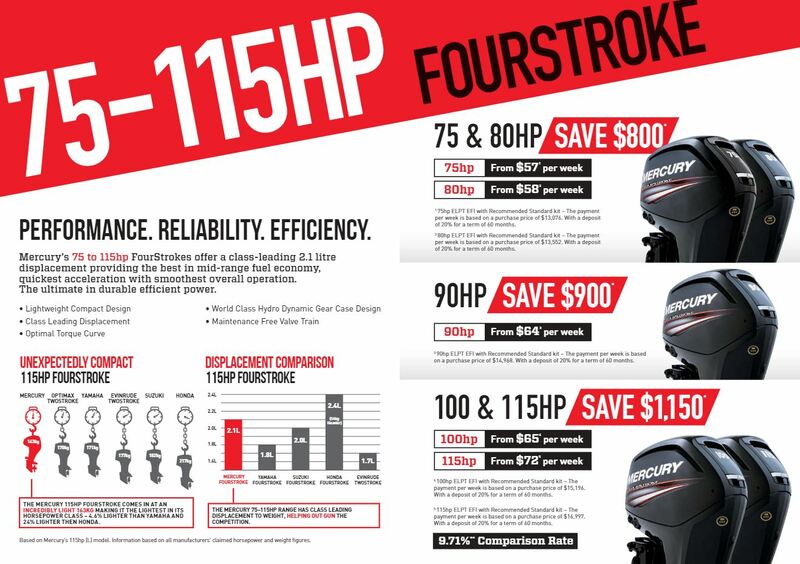 Offer available on selected new consumer FourStroke outboards from 75 to 150hp FourStroke purchased from participating Mercury dealers till 31st May 2019. Ask your participating Mercury dealer for full list of models in the program. Offer is subject to availability and engines must be 2017 build onwards and installed and registered by no later than 9th Aug 2019. Offer not to be used in conjunction with any other offer or rebates.